Weather Factory are an indie studio made up of two Failbetter alumni: Producer Lottie Bevan and Failbetter's founder and the creator of Fallen London, Alexis Kennedy. Their Weather Factory debut came out last year. Cultist Simulator is a singleplayer card game about being the head of an occult society, delving into mysteries that ought not be delved, avoiding the police, and spending all your money on books. It's a fun puzzle to solve, but hardly a safe bet in the world of videogames. However, it seems to have paid off. In a detailed blog post over on the Weather Factory website, Kennedy talks about how the studio's first year went. There's a complete budget in there, which isn't the kind of thing every studio shares, and full sales data. 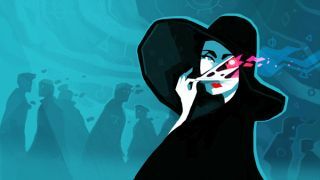 Cultist Simulator sold most of its copies on Steam (85,200 after refunds) with the rest via Humble, GOG, and itch.io. The total comes to a healthy 105,000, give or take. There were also half a million copies distributed as part of the Humble Monthly which was part of a deal they signed to have Humble act as their publisher. As part of that deal they don't earn any royalties for those copies. They decided it was worth the risk for the sake of publicity and increased word-of-mouth. As Kennedy writes, "our daily sales numbers about doubled the day that the Humble Monthly hit, and they’re still at the same level nine days later." It's not easy to make it as an independent studio, but it's nice to see that an interesting idea like Cultist Simulator can succeed. They've made enough money to keep going and make another game, which is realistically all anyone can hope for.